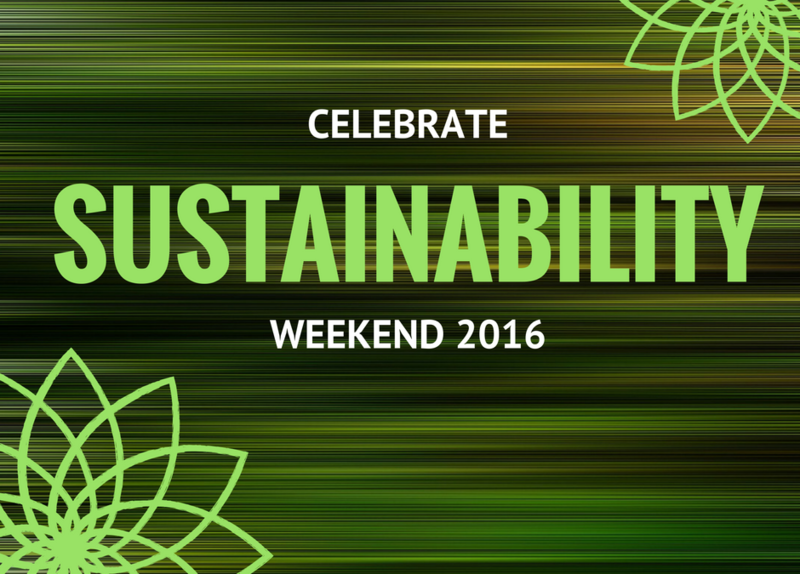 Celebrate Sustainability Weekend 2016 In Conjunction with National Alpaca Farm Days! 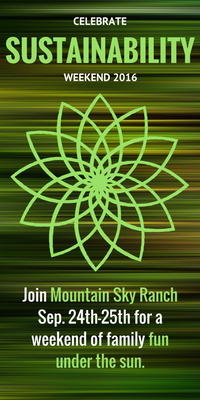 Join us at Mountain Sky Ranch for a day of friends, festivity, and food to celebrate sustainable agriculture and living! Come celebrate sustainability with us! Join us at Mountain Sky Ranch in Berthoud for a day or weekend of FREE education and festivity! Throughout the weekend we will have speakers and presentations on various topics of sustainability, guided tours and hikes, a kids corral with fun activities and supervision, as well as music, food and drink. Free raffle prizes throughout the day. We will end the weekend with a special Ecological Aquaculture Workshop on Sunday (25th) for those who purchase tickets. Proceeds go to supporting young budding ecopreneurs and sustainable agriculturalists. Also, we will have our First Annual Ecolonomics Fishing Tournament throughout the day on Saturday (24th) at our Mountain Sky Ranch ponds. This very cool event is for fishermen/women of all skill levels. There will be very cool prizes for the winners and fun for all! Finally, Celebrate Sustainability is being held in conjunction with National Alpaca Farm Days, and we are going to be showcasing our elite herd of alpacas, as well as our farm store, and possibly even the chance to be seeing a new baby being born! Have you ever thought about turning a pond or a stream into a food source for your family or even possibly an income generating resource for you? You should! We did and we now have a pond system that generates significant income annually, with no external inputs, and is an ecologically balanced system! For the first time ever, Dr. Wayne Dorband will Lead a One Day Workshop on How You Might Apply Ecological Aquaculture to a Pond or Stream that you own or manage. You could develop both a profit center and an attractive recreational resource for your property. You will get to see first hand how we have done this at Mountain Sky Ranch. Come and get a unique hands on and “feet wet” experience! To our knowledge there has not been a Workshop like this ever offered. This is going to be pretty special. Normally we would charge about $200 for this one day interactive event, but we are significantly discounting this event to $50 because we are holding it in conjunction with our 6th Celebrate Sustainability Event. It will last all day (9:00 AM – 5:00 PM, and lunch will be included). This is a crazy cheap price and you should take advantage of it today! We only have a very limited number of spaces for this Workshop, so register as soon as possible (you can register below) before it fills up. OK, this is going to be fun. We have an amazing fish community in our ponds at Mountain Sky Ranch. Two different times this year we have caught separate bass that are over 6 lb. in size. There are also an abundance of hard-fighting and healthy smaller bass, yellow perch, channel catfish, and maybe even a rogue trout or two in our 11 ponds at the Ranch. So we decided to host our first annual Ecolonomics Fishing Tournament. When you register below, you will be able to select a 2 hour time slot on Saturday (24th) for you to fish and try to catch the five largest fish that you can during that period. You do not to be “super-fishermen/women” and you do not even have to have any fishing gear (we can provide it for you), but you can certainly bring all your own if you choose. We are charging a nominal cost of $20 for your entry, and we will even have some surprise goodies for you. There will be prices for winners. You can register below, first come first served to pick a time slot for your tournament experience. This is going to be Fun! Will share eggs from ranch roaming hens who live out their lives foraging on wooded hillsides of the ranch. Respect for life is of utmost importance at Sara’s Pick of the Coop and the hens are able to roam freely in daylight hours, are able to fulfill natural behaviors, are provided with enrichment on a regular basis, and have full access to a balanced diet at all times, although, most choose to forage for insects and vegetation on the hillside. Generously provided unique and delicious alpaca meat for you throughout the day. Mountain Sky Alpacas is one of the most elite alpaca breeders in North America with incredible genetics from across the world.